What is the best scent killer for deer hunting? / What is the best scent killer for deer hunting? It's certainly an idea worth discussing. After all, hunting technology has been evolving quickly, with new tools hitting the market nearly every season. Some earn their keep, while others eventually end up in the dollar bin. Year after year, however, some of the most successful products are those that claim to be able to mask or eliminate your scent while in the woods. As you'll see, they're popular for good reason. As humans, we have 5 million scent receptors. Dogs, which are commonly revered for their incredible sense of smell, have a whopping 220 million. They have 297 million scent receptors. For some of you, this explains a lot of your “one that got away” stories already. Now, oldtimers will argue that learning to be downwind, positioning, etc. are the key to success, but if scent killers are worth their salt, then aren't they worth giving a try? In this article, I'll sift through some of the most popular scent killers and cover-ups in search of the overall best scent killer for deer hunting. I've already narrowed it down to three of the best, so let's take a look at how they work, what features they use, and the pros and cons of each one. This is an electronic ozone generator. It is a total scent killer for deer hunting, designed to be used on your entire equipment bag. This unit is considered one of the best in the electronic category for its high ratings and low price. 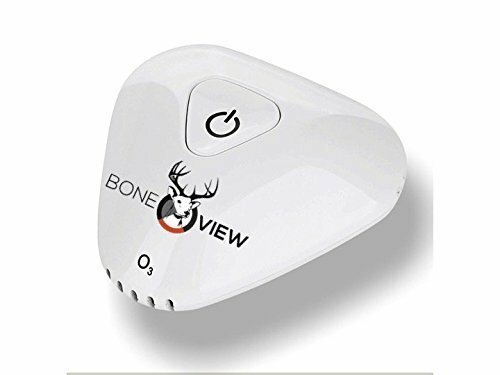 According to the manufacturer, the BoneView uses “power triple oxygen scent crushing technology at a molecular level.” Essentially, this means the unit eliminates odors from sweat, chemicals, bacteria, and smoke by generating ozone, which turns odor-causing particles into pure oxygen. The product usually takes a few hours to perform properly, so the manufacturer recommends using it overnight or in between hunts. If you can't fit it into a six cubic foot bag, it isn't going to get deodorized. This means any outdoor equipment like hides or tents will still carry a smell, and may “contaminate” your oxidized clothes if you're not careful. Also, misuse of the product can cause one to inhale the ozone, which may be hazardous to your health. These patented “scent wafers” are a tried and true product that's been around for a while. Cheap, effective, and long-lasting, these concentrated odors are said to mask all human smells, gun oil, etc., allowing hunters to get as close as they need. According to many users, these wafers give off such a strong smell that they cover up almost everything. Available in 8 different scents, they last a long time and can be used in a couple of different ways. Most people toss the wafers in their gear bag or a sack with their hunting clothes for 24-48 hours, then head out into the woods. Others dissolve the wafers in a tub along with their clothes. Sometimes simpler is better, and the ultra-low price doesn't hurt either. 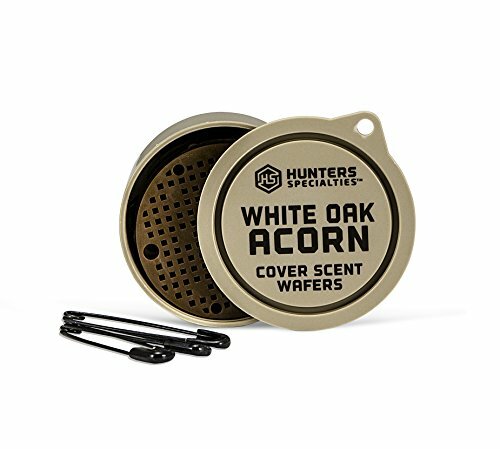 Most users say these will keep a gear bag smelling like wet dirt for years, and claim they get a deer every year thanks specifically to these wafers. They're so strong; they can also be clipped to hides or thrown into tents. According to the State of California, these wafers contain chemicals known to cause cancer and congenital disabilities. On top of that, some users claim that the effects of the wafers are more permanent than they anticipated, and can't be washed out easily. 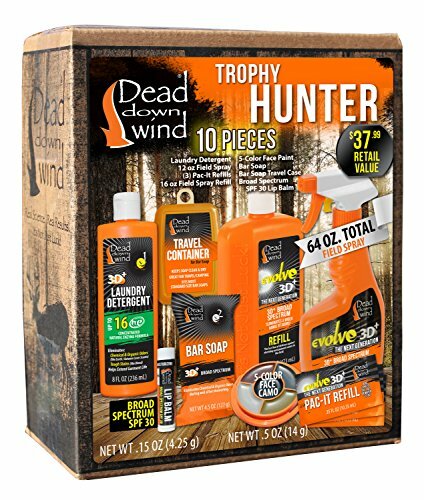 This kit bills itself as containing everything an outdoorsman needs for odor elimination. Its “exceptional broad Spectrum odor elimination” includes lip balm, laundry detergent, a bar of soap (with travel case), field spray with a refill, and face paint. According to users, this box contains pretty much everything you need to conceal your scent in the woods. From washing clothing in the detergent to washing yourself with the soap to spraying your equipment, hide, and tent with the field spray, it's a pretty good deal for the price. All of these items are designed to work instantly, as well, so there's no waiting before you get in the woods. A fair price for a variety of items, most of which include refills. Many users stand by the items included, and the manufacturer promises no “harsh chemicals” or skin irritants. Some claim it is powerful enough to eliminate “skunk spray” on contact. As with the wafers, the State of California mandates the package claim it contains ingredients “known to cause cancer and congenital disabilities or other reproductive harm.” Some users also feel that this “discounted box,” which states it should retail at $37, is filled with fluff, primarily the lip balm and face paint. Still, others feel the spray is “too strong,” and won't leave their clothing. Can be used on clothing, tents, hides, etc. The scent lasts a long time. No product is going to make you a better hunter instantly, but there are tools available that can help make the sport more enjoyable and rewarding. When considering using one of these items, it's always important to do your research, read reviews, and find your approach to the sport before making a purchase. These three items are some of the best scent blockers and scent killers for hunting on the market, having earned the esteem of thousands of outdoorsmen. To find out which one works best for you, and get out in the woods. Also, be sure to let me know what you think! 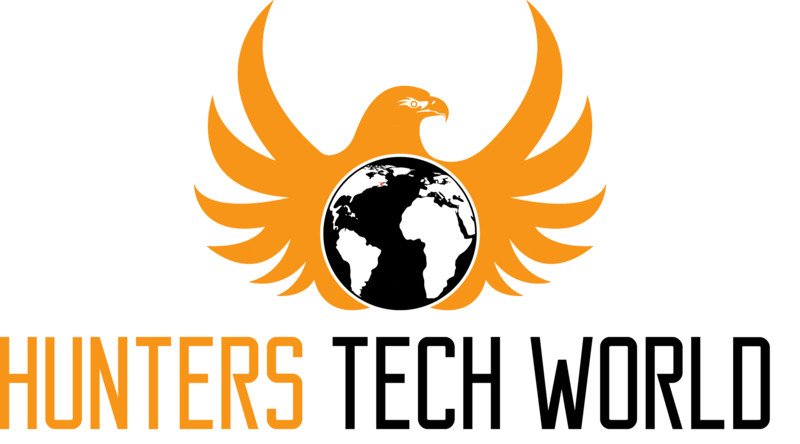 Hunters Tech World is a participant in the Amazon Services LLC Associates Program, an affiliate advertising program designed to provide a means for sites to earn advertising fees by advertising and linking to Amazon.com. Copyright text 2018 by Hunters Tech World.